Any car crash that results in death or injury is tragic, but fatal car crashes that are caused by irresponsible driving are particularly saddening. 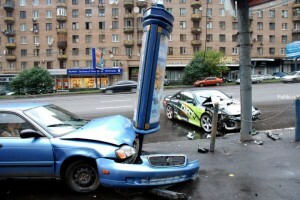 Many such accidents are the result of illegal drag races, also known as street races. Street racers don’t just put their own lives on the line for a thrill; they also endanger the lives of pedestrians and other motorists. The tragic affects of street racing can be seen in a recent crash in Miami. According to a CBS Miami report last Saturday, a driver who witnesses say was street racing ran a red light and collided with a Nissan and a county bus. The driver of the Nissan, Humberto Perez, had dropped his wife off at work only moments before. The force of the collision ejected Perez from his vehicle. He died at the scene. One of the passengers on the bus was taken to the hospital for treatment. The bus driver suffered minor injuries and received treatment at the scene. The accused street racer and his passenger were severely injured and were taken to the hospital after they were extricated from their vehicle. An investigation has been opened by Traffic Homicide detectives to determine if street racing is to blame. The aftermath of the crash was devastating. Perez’s wife is left without her husband, facing the costs of his tragic death and supporting her family with only her income. The bus passenger who was taken to the hospital faces medical bills. Both victims of the crash now face serious mental, physical and monetary tolls because of a crash they could not have prevented. Thankfully, people who are injured and the families of those who are killed in car accidents that are the result of negligence are protected under Florida law. Both of the victims are entitled to compensation that will cover the bills they face. It will be important for the bus passenger and Perez’s wife to find an attorney that can help them get the compensation they need and deserve. The attorneys at Wolfson Law Firm have more than 60 years of combined experience in car accident litigation. They are conveniently located in Miami and can be reached at 305-285-1115. If you or a loved one has been in a car accident, give them a call for a free case evaluation.